We are pleased to introduce the Venusian Gardens for your wedding as well as for the other special events surrounding your momentous occasion. The Venusian Gardens is a new venue located just outside the French Quarter in New Orleans that is truly unique in its concept and in its atmosphere. 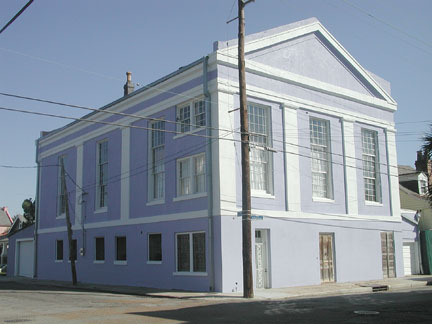 Venusian Gardens is a renovated church built in 1854. With an open beamed ceiling that rises 40 feet above original hardwood floors, Venusian Gardens features extraordinary luminous art work in metal, neon and glass. What makes the venue special is the grandeur of the historic architecture coupled with the luminous sculpture, creating a wonderfully romantic and magical ambiance. It is a unique space offering a truly delightful environment for your special celebration.